Private chat or group chat - allow all or just a select number of people participate in conversations about projects, ideas, etc. 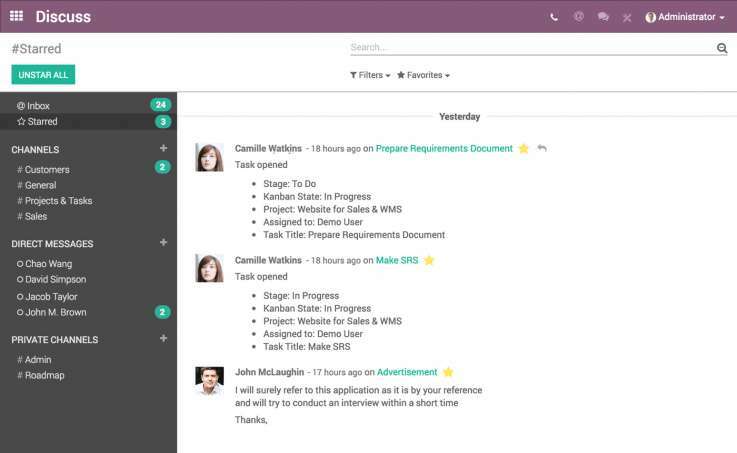 The communication app can be easily integrated into all modules. And the best part is that you can keep track of all actions in just one window. 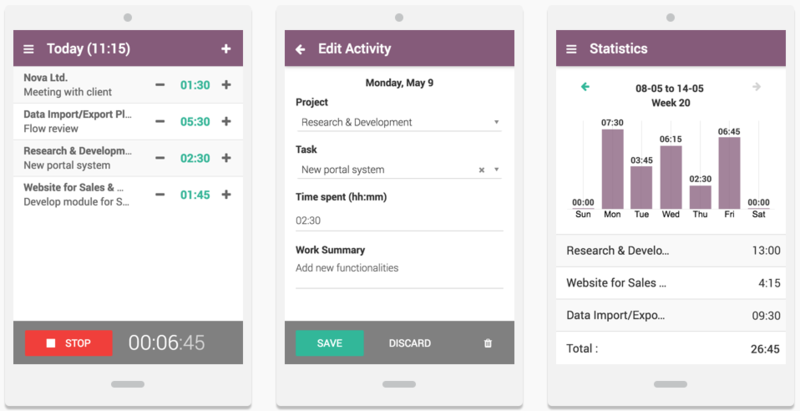 Task management, time tracking, and weekly time sheets - Odoo helps you organise your own workflow, track your team’s progress, keep projects profitable, and project requirements and resources. 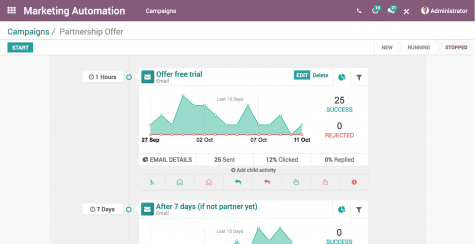 The drag and drop feature of Odoo's Email Marketing software makes it easy to create beautiful, effective emails that are displayed correctly on all devices. You can design email campaigns, improve your opening and click rates with targeted approach, and continually improve your campaigns with statistics and advanced features. 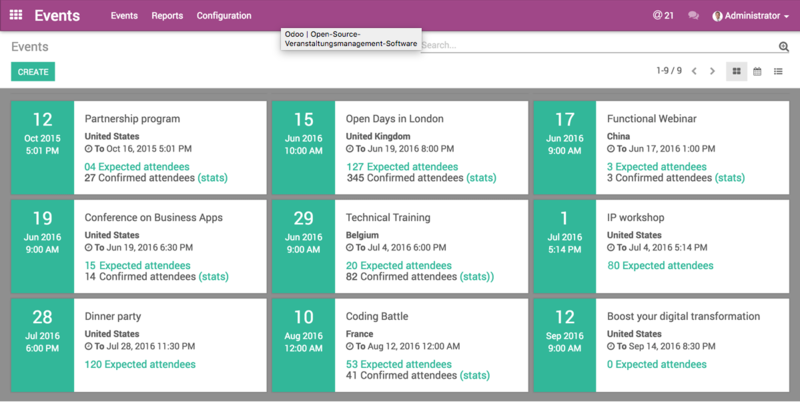 Organise, publish and promote your events with the Odoo Event Management app. With the integrated platform you can manage events of all types and sizes and sell tickets online. 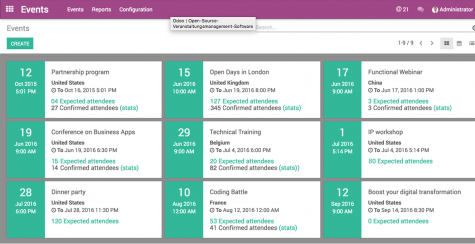 Quickly design engaging survey forms, share them, analyse the answers, and view the result charts in real time. Improve your company's performance and use the survey results to reinforce your strategy. Manage your appointments online and let your customers schedule their appointments outside of your business hours as well. Thanks to automated email/SMS reminders, you are always in control of your appointments and can reschedule them quickly and easily when needed. With this app you can create automated and targeted multi-level marketing campaigns. This is how the right message reaches the right person at the right time. 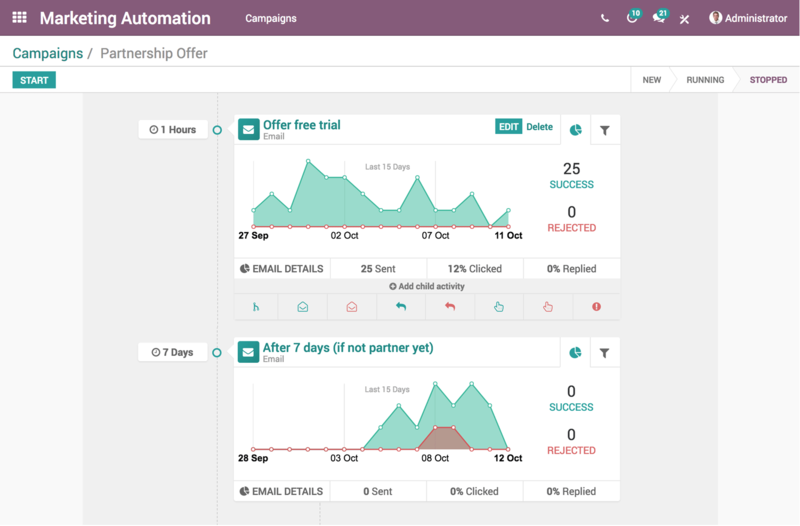 The Marketing Automation app also doubles as an efficient lead management system. It allows you to generate and organise your leads and turn prospective customers into customers.